BT has launched Tech Factor 2017, a competition inviting schools to show how they would use technology to help pupils prepare for the challenges of the evolving jobs market. 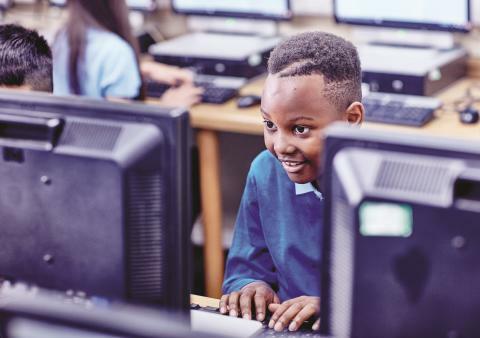 The competition is open to schools across the UK and is part of BT’s wider Tech Literacy initiative to inspire young people in the UK to embrace the role technology plays in their lives. The idea that most impresses the judges will win £10,000 to spend with BT on the very latest technology for their school or college. There are also two runner-up prizes of £5,000 up for grabs, one for five to 10-year-olds (Key Stage 1 to 2) and the other for 11 to 16-year-olds (Key Stage 3 to 4). The closing date is 26 May 2017 and the money will be available to spend in the BT Business Direct Shop. Helen Slinger, CEO of BT Business Direct, said: “The Tech Factor team want to get to the heart of how schools would use this prize money for technology to really enhance learning and prepare students for the future. Last year, we had so many great entrants that we found it really difficult to pick the winners. This year there’ll be more chances to win with a series of partner-sponsored prizes too. Some of the world-renowned brands that we work with heard about Tech Factor and wanted to show their support as well. So Microsoft, HP, Kyocera, Epson, Fujitsu, Kensington and Brother are all supporting us by donating prizes, giving more schools the chance to win tech.For more details and to enter the competition, schools should visit: http://www.bt.com/PR/Tech-Factor-2017. The closing date is 26 May 2017. The winner of Tech Factor 2016, Little Heath School in Essex, demonstrated how much they love technology and some of the ways in which they have been using it to enhance their students’ learning. The school plans to spend their prize money on virtual reality (VR) equipment, like the Google Cardboard headset, to enable student to see what the world of work is like and build their careers experience within the school environment. BT is also currently delivering the Barefoot Computing Programme with the British Computing Society, offering free teaching-resources and volunteer-led training workshops, designed to help primary school teachers become more confident when teaching computer science and computing skills. 1.This competition is open to schools and academies in the KS 1-4 sector or their equivalent (i.e. teaching 5-16 year olds) only. 2.The closing date for entries is Friday 26th May 2017. Our shortlist will be announced and published by Friday 16th June. Winners will be announced by Friday 30th June 2017. 3.A valid entry consists of submitting (a) a Tech Factor 2017 entry form and (b) a Tech Factor 2017 video for your school. Entries that do not have both parts (a) and (b) will not be judged. 4.Only one entry per school. Additional entries from the same school may not be judged, in these instances the first fully delivered entry is the one that will be entered into judging. 5.There are three main prizes to be won, all of which are to be spent at BT Business Direct. We also have additional prizes from our partners to give away to some of our shortlisted schools. A credit will be applied to the accounts of the three schools who win a main monetary prize. First prize is £10,000 to spend at BT Business Direct and there are two runner-up prizes of £5000, one for Key Stage 1-2 schools and one for Key Stage 3-4 schools. The additional prizes are provided by brands that we partner with and can be opted in to during form submission. Prizes are not transferrable. 6.Opting in to a partner prize does not affect your school’s potential to win one of the top three cash prizes. 7.Opting in to partner prizes does not mean we’ll share your school’s details with that partner for third party marketing. However, if you opt in to our (BT Business Direct) marketing it may mean we’ll contact you about that partner brand’s products and solutions from time to time. 8.When you submit the form part of your entry, you’ll be asked if you’d like to receive marketing from us via email, print and/ or phone. As an education customer, you’ll only receive marketing from us that’s education specific. Our marketing includes, but is not limited; offers for products, solutions, free events, competitions and news. We respect your privacy and these options will be used in future when determining whether to contact you. 9.By entering this competition, schools accept that BT Business Direct has the right to publish the names of the shortlisted schools and the ideas and videos that are submitted by them. 10.By entering this competition, schools accept that BT Business Direct has the right to use the competition, associated entries and ideas in on and offline marketing for future competitions or product promotion. 11.It is the responsibility of the school to get the necessary consents/permissions from the parents or guardians of any pupils taking part in the video. 12.By entering the competition the schools grant BT Business Direct / third parties working on its behalf permission to use the video entries for the purpose of judging the competition. 13.The winners’ names and a summary of their idea will be published online. Shortlisted schools may also be summarised and their ideas published online. 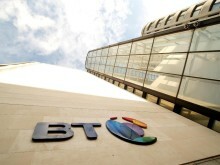 14.BT Business Direct reserves the right to amend or withdraw the competition at any time prior to the closing date.